Kids will love these Martha White Chocolate Chip Toffee Muffins with Caramel Topping. They are perfect (hot out of the oven!) for breakfast on Christmas morning as a special holiday for the whole family. Just drizzle them with the caramel topping and serve. They are also fabulous when made ahead for a holiday brunch with friends. 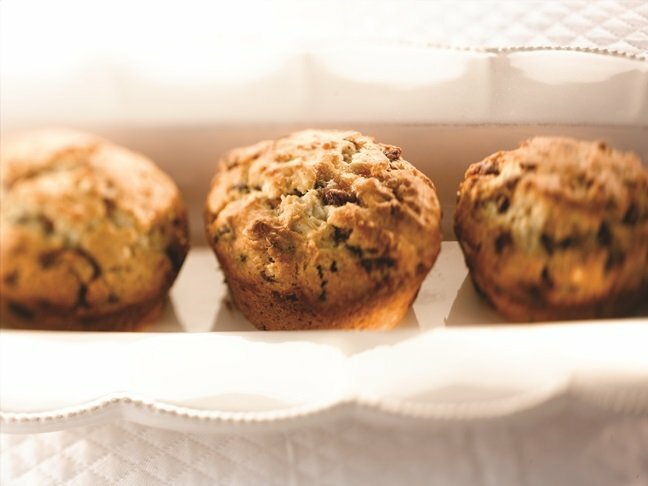 Or, top these versatile muffins with ice cream and they’re a scrumptious holiday dessert. Step 1: Heat oven to 425º F. Lightly spray a muffin tin with 12 medium muffin cups with no-stick cooking spray or line with paper baking cups. Step 2: Stir together muffin mix and milk in medium bowl just until blended. Fold in toffee bits and 1/3 cup pecans. Fill muffin cups 3/4 full. Step 3: Bake 14 to 17 minutes or until golden brown. Cool 2 to 3 minutes in pan. Step 4: Once cool, remove from pan. Combine caramel topping and 2 tablespoons pecans in small microwave-safe bowl. Microwave on HIGH 10 seconds or until warm. Drizzle over muffins.